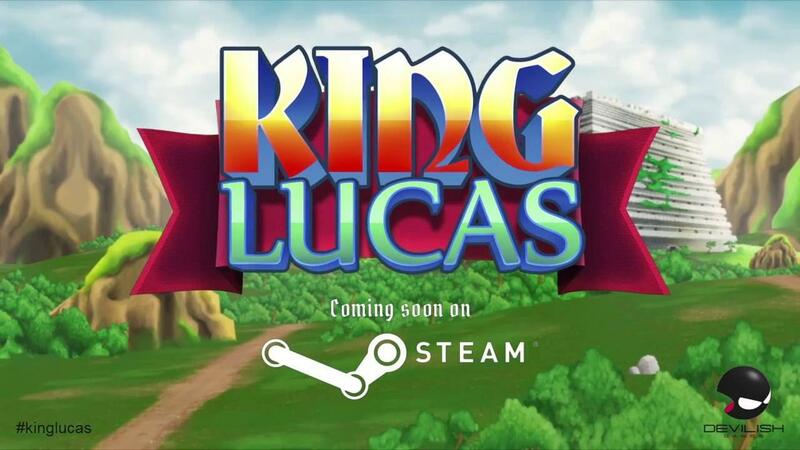 We have a bunch of Steam keys for King Lucas [Official Site], a metroidvania-style game from DevilishGames and here's your chance to grab a copy. I will pick the winners personally from what pictures I like best. I will close the competition on the 27th of January at 21:00 UTC. This is a metroidvania game with 2.5D graphics and classic game mechanics for the delight of platform, action and adventure game lovers as well as those who didn't live the 80's and 90's; this is an opportunity for you to taste a bit of that classic feeling with the graphics and sound quality of today. King Lucas' castle is made up of hundreds of interconnected rooms, which are reconfigured every time a new search begins. These rooms have been hand designed one by one (no procedural level design!). Lava pits, water tunnels, ladders, traps... this castle has become a deadly place since the queen left. Here is my best (I'm not kidding. I am actually proud I was able to do this good). Well I have to say that I have an obsession with Warriors. In MMO's/RPG's etc I play ONLY Warrior class. Different types of Weapons/Swords/Shields/Armour just excite me. I have geared many warriors in different games to top notch Armour and weapons and sometimes I browse devianART for different Warrior armour/weapons and concepts. 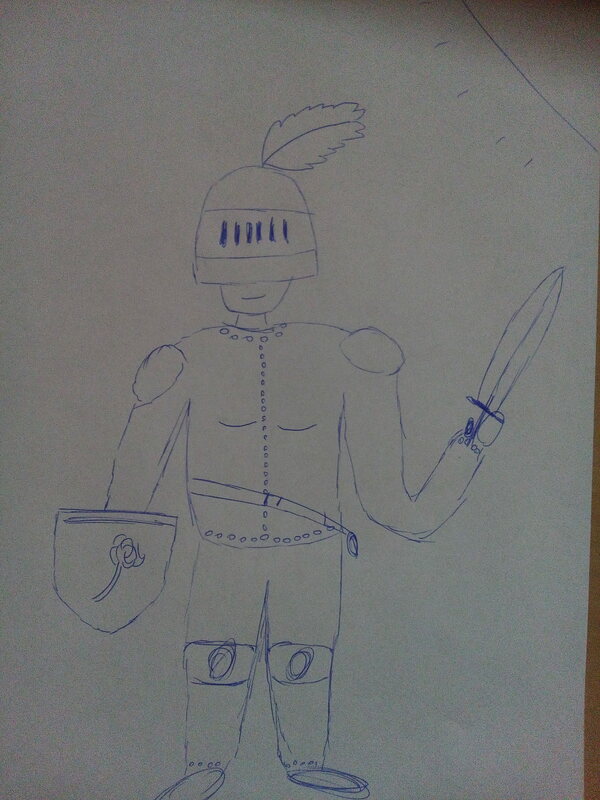 These drawings reminded me, my attempts to draw a warrior when I was a kid .... good times! I was yelling & crying because my warriors were not good as the cartoons and movies. Does it look like I can draw in the first post? Hell no! Just give it a shot and see what happens. 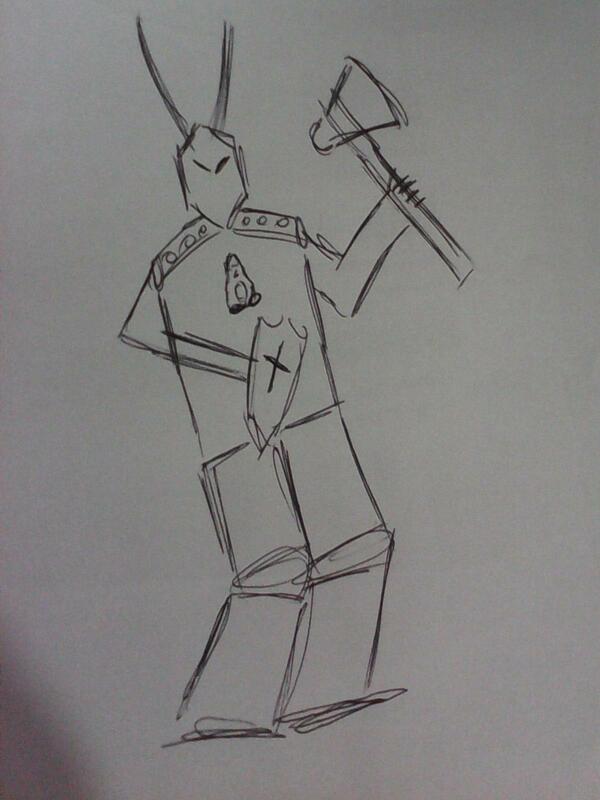 "Good" art is subjective, and I think my stick art qualifies as good. 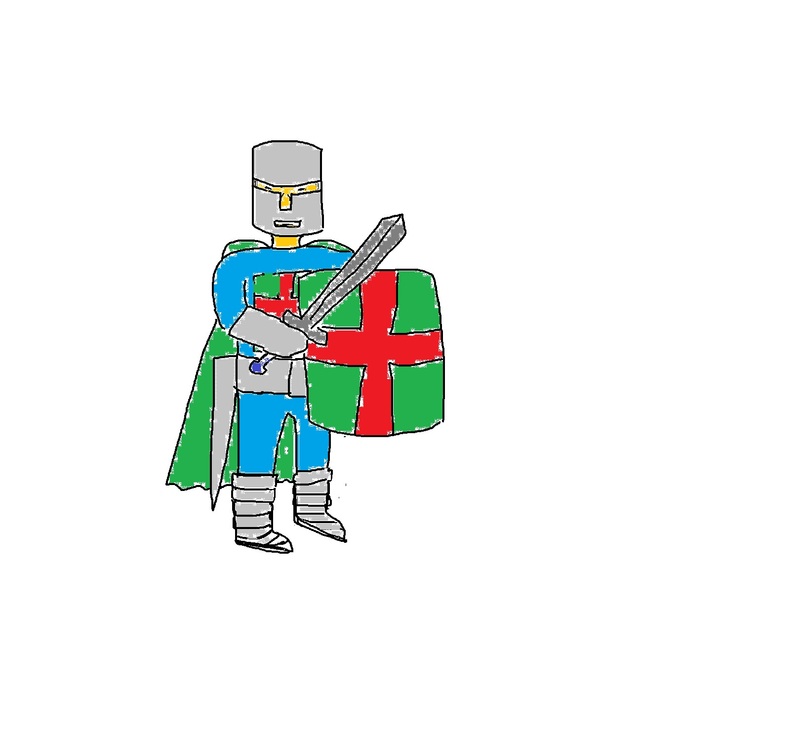 I'm not good at drawing. I will try, lol.